One of my business heros Tom Peters once said "Winning Salespeople Are Routinely Ahead Of Schedule". This statement is true when it comes to real estate. Winning real estate agents dig deep when the market changes. Top agents monitor everything they do, they track everything their teams do and they are always looking for a better way to help buyers buy and help sellers sell their homes. What are you doing to remain ahead of schedule with your business and your personal goals during the changing market? We`re working double time and it`s paying off. Real Estate seems to change every 6-8 months. Scott, You hit the nail square on the head...work harder and think creatively, in a changing market there is opportunity around every corner if agents can recognize it. Somethings agents simply can't see opportunity because they are so engaged in discussions about "the market" if you know what I mean. One of the things we have been doing is creating virual tours of our entire community. Last night I put together some examples and here is a link. We're looking ahead of today and trying to determine what's going to happen six months from now, andbe ready for it. I don't believe it's necessarily about working harder, it's about working smarter and evolving your systems into a more efficient and effective machine. Terry--I agree that working smarter is certainly a huge part of it. For those of us in more challenging markets we have had to turn it up a notch or two and work even harder to maintain the same level of business we were doing last year and especially the year before. Happy Selling! Nice post Sam, it does require a better evaluation of your marketing and listing strategies in this type of market. It also means you must maintain a vigilant eye when the financing and market changes as quickly as this one does from week to week right now. Again, nice post Sam. Thanks Gary! As you stated we must all keep a very keen eye on the market, trends, inventory, absorbtion rates and financing and the available loan programs. I should also state that we MUST stay on top of the loan programs that no longer exist because there have been many low and no money programs that are gone. If you do not look and work ahead, you get left behind. Simple as that. Sam - Very wise words indeed. I constantly look for new and innovative ideas and have done things this year I have not done before. Great post. Sam, you are absolutely on. Those that "stand around, drink coffee and complain of the market" will go no where. 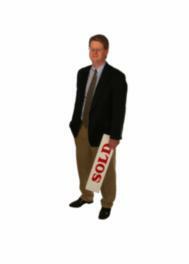 You need to be a pro-active agent and find buyers and sellers if they are not finding you. Look ahead and prepare for what's to come. Cynthia - I totally agree with your comments. Most don't want to get left behind but only a few are really willing to do what it takes. George - Thanks! You are right about new, innovative ideas and creative thinking being the keys today...and test and track everything you are doing so you know what to keep doing and what you can eliminate later. Karen - I hear you loud and clear...those who stand around complaining about the dead deals and the tough market are certainly the ones who will NOT be leading their market sales. Your comment about looking ahead and preparing is one of the things I love about being part of the Cyberstars...there are so many positive and creative thinkers in that group. Instead of being a jack-of-all-trades and master of none, I think it's smart to look at which niche markets are working best for you right now. Get REALLY good at one or two of them and go deep with as many strategies within those niches as you can...meaning determine how to get the most of the niche as possible. Also, with the changing market, I'm setting shorter-term goals, 90-days at a time, instead of one year goals. That way if I need to make changes to my business, I can do it in a more timely manner. Sam - When the market changes like it has agents need to get back in the trenches and actually WORK! I see so many agent that have gotten into the business over the last ten years that got used to be "order takers". Throw a sign out in the yard put it in MLS and you have a sale.....well those days are gone. I see so many agents struggling now because they have no clue on what to do to be successful. Bill, I agree. Now it is time for us to set ourselves apart from the real estate masses and the key is getting results while others are standing around wondering what just happened. Just like everything in life things evolve and you can't stay the same. Keeping abreast of everything and making sure you take classes to update yourself and know the latest information is critical. Take short sales for instances. They are very big now and a couple of years ago virtual unknown. I think information is one key to success.